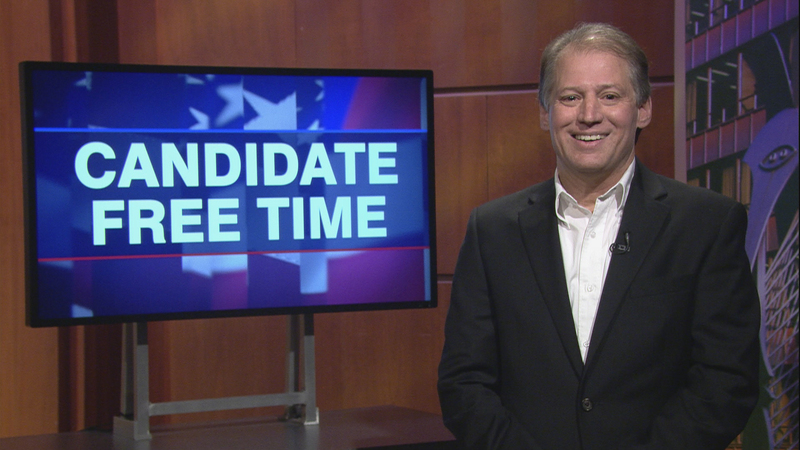 Video: John Elleson tells voters about his platform. Learn more about Candidate Free Time. Political Experience: None. I’ve worked in the community all my life and have been part of many causes. Bring high paying jobs to the Chicagoland area, be a Representative to ALL the people in the 9th Congressional District, and fix our broken system that just keeps repeating every cycle. Jobs, economy, healthcare, society divisions, national security, criminal justice reform, community safety, infrastructure, and our youth. We need to keep the economy going and we are on the right track, but we have to more. Getting rid of unnecessary regulation is wise. Taking down unnecessary barriers are needed. Smaller community banks need to be empowered all the more. Rolling back some of Dodd-Frank, with respects to mid-level banks, was wise, as we need to encourage community and wise investment. Illinois use to be a good business state. We are not terrible, but we could be better. As a people, we are not going to be perfect in every area, but in the pursuit of somethings, we’ve lost our way foolishly. We need common sense government. Either we get our act together and be smart (pensions, regulations), or we go our way as a leftist/liberal state. Illinois is better than this. We are a good Midwestern state and we should keep fighting for it. I am also for a ban on assault weapons, with very few exceptions. With that though, we need to strictly enforce the current laws on the books. We need to do all we can to keep guns out of the hands of criminals. We need to change the behavior of those who are getting guns. Sure, the availability of guns in the hands of the wrong people is a problem, but it’s the person committing the crime that’s the greatest issue. We need to work on why people are committing the crimes in the first place. We may have to reduce benefits for the sake of the whole pool. If we need to cut $5.00 a check to save it, so be it. Let’s be honest about it though, no tricks. Let the numbers speak for themselves in a bipartisan committee and do what needs to be done to keep it solvent. My name is John Elleson, I am running to be your U.S. Representative for the 9th Congressional District. Being a Representative and going to Washington was never meant to be a life-long career. My opponent Jan Schakowsky has been in office for 20 years, and it’s time for her to go. After a while, politicians end up using their office to enrich themselves, while enjoying a privileged life style, instead of identifying with the people. Friend, I want to go to Washington to fight for you. I pastor a church in Arlington Heights and believe in putting the interest of the people first. For over 35 years I’ve enjoyed helping and fighting for people, now I want to do the same for you and our district. I want to unify people with our district being a national model on how people with differences can get along. I believe the current division in society is not healthy. The church I pastor is very diverse, about 1/3 Black, 1/3 Hispanic, and 1/3 White, 70 percent being Democrat. But when our church comes together, what we have in common is much greater than any difference. That is the way I want to represent our district. I want to solve problems that affect you. Whether it’s air pollution that contributes to cancer, expensive healthcare, the threat of cyber security, an unstable economy, a runaway national debt, the need for good high paying jobs, high taxes that overburden you, unstable social security and Medicare, quality education, I want to go to Washington to solve our nation’s big problems. I want to fight power. Concentrated power corrupts and hurts our nation. Be it economic or political, we need a more level playing field. Our nation is not a dynasty and I want to fight elitism and be for the little guy. No party, politician, family, or corporation, should have a lock on America. We need a strong middle class, where everyone can win and has their voice heard. A nation where a nobody, can be a somebody. Send me to Washington as your representative, and I will fight for you.